Portland Works, R F Mosley & Co Ltd, built c 1879. The chimney was reduced in height about the time of WW2 (see the 1948 photo)and the top floor of the range behind and right of the chimney was damaged by a serious fire in January 1939. Anchor Brewery. Bombed out in WWII and then the business merged with the Hope Brewery to a new Hope and Anchor Brewery on Claywheels Lane. The bombing started a chain of events that led to Carling Black Label lager coming to the UK from Canada. This is 16a John street the workshop of G A Barraclough Sheet Metal Workers a business started in the early thirties by George Arthur Barraclough and later run by his son Alan Barraclough. The building is now demolished. The Sheldon Hotel, 27 Hill Street. Opened 1841 and closed in 2004. Now converted into student flats. Cricketers Arms, 106 Bramall Lane. Opened in 1859. Yorkshire County Cricket Club was founded in Sheffield and it played at Bramall Lane. Sheffield was a pioneer for cricket and had a few nationally famous cricket grounds. High Hazels Park (modern day Darnall) was said to be the best in the country and the envy of southern clubs due to its idyllic green setting. 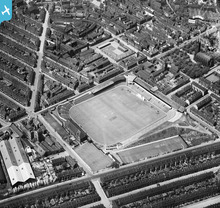 There was also Hyde Park ground (used by Yorkshire CCC & now the site of the high rise flats) and of course Bramall lane, which was a multi purpose sports ground, used for the first athletics meet in the UK. Bramall lane is the oldest sports ground in the world used by a professional football club. Incidentally the oldest football ground in the world is at Sandygate Road, Sheffield still used by Hallam FC, (the 2nd oldest football club in the world) The oldest football club in the world is Sheffield FC. Bramall Lane staged the first floodlit sports event in the world in 1878! that was a football match between ? (I think it was Hallam FC v Sheffield FC) in front of 20,000 people. Bramall Lane was the home of Sheffield Wednesday form 1880 to 1888, (then known as The Wednesday) Yorkshire CCC & Sheffield Utd CC founded Sheffield Utd FC & approx. 100 years later the child (SUFC) of Yorks CCC turfed the cricket club out. Yorkshire are now play all but one of its seasonal county games at Leeds (Headingley). 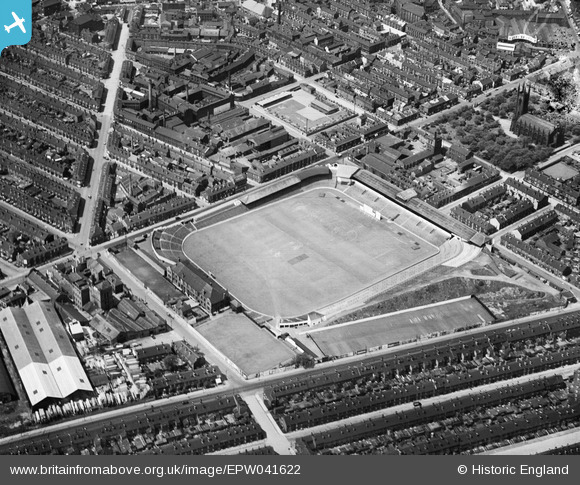 Bramall Lane has a rich and long history, much richer than any ground in the whole world! There so much more to write including the UK's first opathletics meeting and much more! The Sportsman Inn, opened 1901 (closed 2012). remains closed. Railway Hotel, 172 Bramall Lane. Opened 1871. Was closed for a short span of a couple of years but back open again.